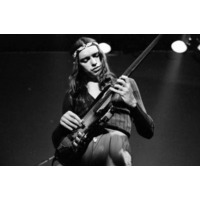 John Francis Anthony Pastorius III (December 1, 1951 – September 21, 1987), better known as Jaco Pastorius, was an American jazz musician and composer widely acknowledged for his skills as an electric bass player. His playing style was noteworthy for containing intricate solos in the higher register. His innovations also included the use of harmonics and the "singing" quality of his melodies on the fretless bass. Pastorius suffered from mental illness including a substance-related disorder, and was diagnosed with bipolar disorder in 1982. He died in 1987 at age 35 following a violent altercation at a Fort Lauderdale drinking establishment. Pastorius was inducted into the Down Beat Jazz Hall of Fame in 1988, one of only four bassists to be so honored (and the only electric bass guitarist). He is regarded as one of the most influential bass players of all time.